Ptolemy lives, so does the fiat of religion over science as seen by yet another 5/4 decision by the supremes, this time Hobby Lobby and the right of religion to, in effect, dictate a woman's right to choose by denying insured contraceptive ACA coverage using christianity to make it happen. But in all that hullabaloo, commentators have overlooked a critical piece of Supreme Court dogma that may prove to be the undoing of conservative religious liberty activists: that the court will not inquire into religious claims. If I believe the sun revolves around the earth, is that now a disputable fact? According to Justice Alito, yes. 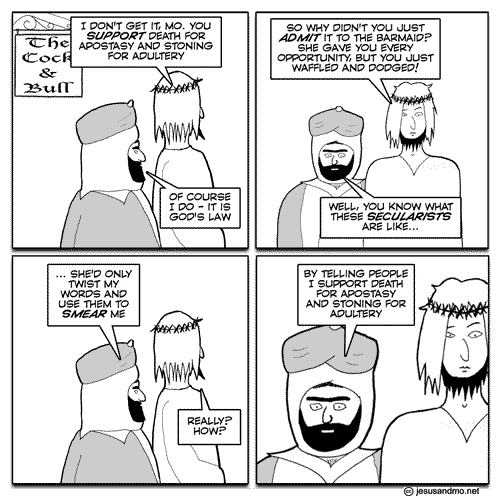 If I have a religious belief that it does, then it doesn’t matter that it doesn’t. The Flying Spaghetti Monster lives. 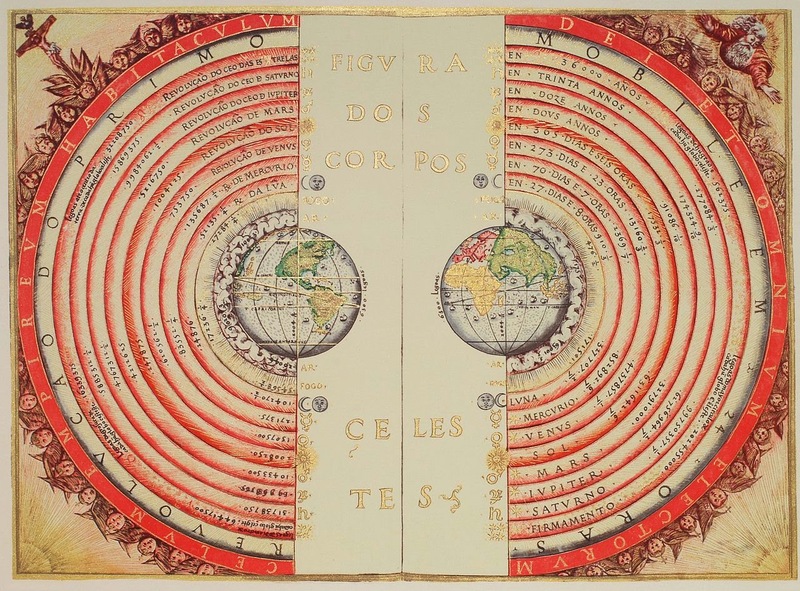 The Epicycle as described in the Ptolemaic universe. Where is Kelly Johnson when you need him? You know, the guy who created the Black Bird aka SR-71, on time and within budget, something not possible with the F35, the fubar that keeps on giving as seen by the latest factoid on this ongoing disaster, courtesy of the company the great Kelly Johnson worked for back in the day. The F-35 is the world’s most expensive weapons system – $400 billion and counting. The estimated lifetime cost of this military-industrial project is $1.5 trillion. The F-35 is already close to a decade behind schedule and its cost is already more than twice the original estimate. The Pentagon has lowered its performance specs and it’s still years from being operational. On June 22, at Eglin Air Force Base in Florida, an F-35A was taking off on a routine training flight when the tail of the plane burst into flame. The pilot aborted the takeoff and escaped from the cockpit. A ground crew extinguished the fire with foam. There were no injuries, but the $100 million plane was possibly destroyed, according to officials. All twenty-six F-35s at Eglin were grounded after the fire, while the Air Force tried to figure out why the plane had ignited. Air Force spokesperson Lt. Hope Cronin called the fire “significant,” but the cause is yet unknown. F-35s at other bases continue to fly. Earlier this month, on June 13, the entire F-35 fleet (more then 100 planes at this point) was grounded because an F-35 was leaking oil in flight. The Air Force, the Marines, and the Navy each have a variation of the F-35 that range in estimated cost from $98 million (Air Force) to $104 million (Marines) to $124 million (Navy). 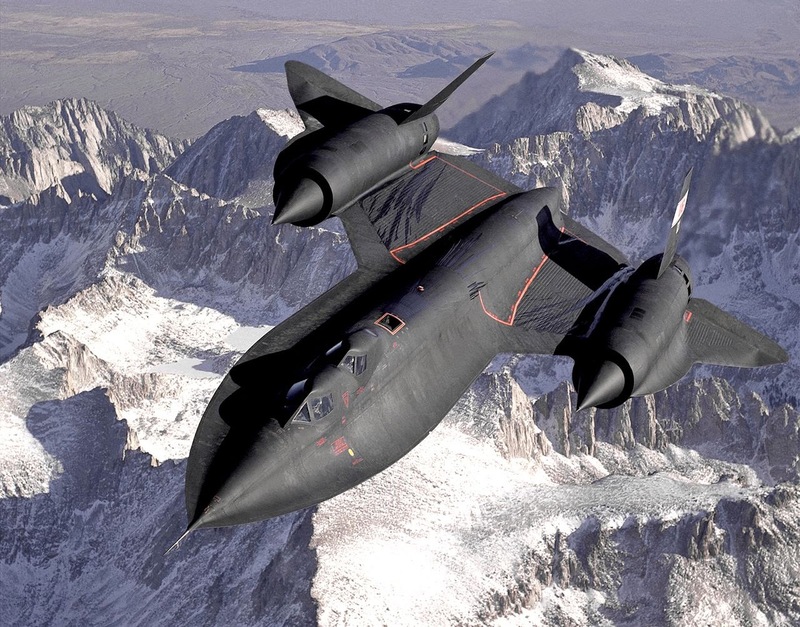 Seen below is the SR-71, the greatest airplane ever designed. 1. The Skunk Works manager must be delegated practically complete control of his program in all aspects. He should report to a division president or higher. 2. Strong but small project offices must be provided both by the military and industry. 3. The number of people having any connection with the project must be restricted in an almost vicious manner. Use a small number of good people (10% to 25% compared to the so-called normal systems). 4. A very simple drawing and drawing release system with great flexibility for making changes must be provided. 5. There must be a minimum number of reports required, but important work must be recorded thoroughly. 6. There must be a monthly cost review covering not only what has been spent and committed but also projected costs to the conclusion of the program. 7. The contractor must be delegated and must assume more than normal responsibility to get good vendor bids for subcontract on the project. Commercial bid procedures are very often better than military ones. 8. The inspection system as currently used by the Skunk Works, which has been approved by both the Air Force and Navy, meets the intent of existing military requirements and should be used on new projects. Push more basic inspection responsibility back to subcontractors and vendors. Don't duplicate so much inspection. 9. The contractor must be delegated the authority to test his final product in flight. He can and must test it in the initial stages. If he doesn't, he rapidly loses his competency to design other vehicles. 10. The specifications applying to the hardware must be agreed to well in advance of contracting. The Skunk Works practice of having a specification section stating clearly which important military specification items will not knowingly be complied with and reasons therefore is highly recommended. 11. Funding a program must be timely so that the contractor doesn't have to keep running to the bank to support government projects. 12. There must be mutual trust between the military project organization and the contractor, the very close cooperation and liaison on a day-to-day basis. This cuts down misunderstanding and correspondence to an absolute minimum. 13. Access by outsiders to the project and its personnel must be strictly controlled by appropriate security measures. 14. Because only a few people will be used in engineering and most other areas, ways must be provided to reward good performance by pay not based on the number of personnel supervised. As most folks know, nature abhors a vacuum if one lives on a planet like earth because, due to air pressure differentials, high pressure areas will always move to low (entropy) to equalize things out, something akin to what the US did when destroying viable nations like Iraq and Libya (high), thus creating a power vacuum (low) thus enabling organized groups like ISIS to take advantage of (to fill in/replace) in short order. 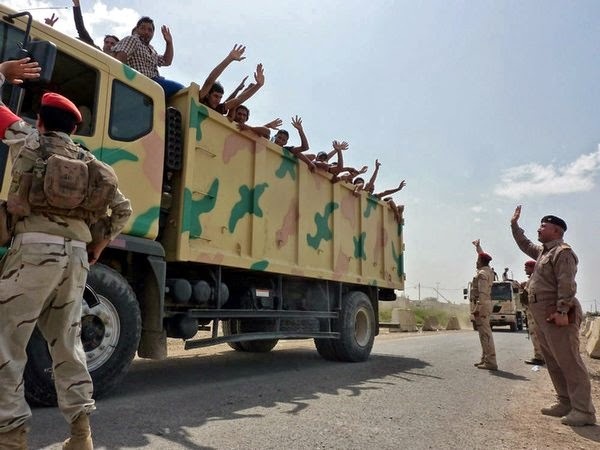 While the former leaders of Iraq and Libya were not wonderful by any stretch of the imagination, they did lead functioning, secular countries where women had the most rights of any middle eastern nation save that of Israel and things remained relatively stable until now. With that being said, the US "nation building" process of replacing high pressure zones with low, has, in effect, created ISIS, a movement bent on creating a caliphate encompassing Iraq, Syria and beyond if conditions permit it. See the awesome map by Mohammad adil-Rashidun below. Now that we know how US "Nation Building" works, consider the following. If ISIS threatens the survival of Jordan, the Obama administration believes, it would ask for help from two of the least popular countries in the Middle East: America and Israel. The terror group that’s taken over major portions of Iraq and Syria won’t be content with roiling those two countries, senior Obama administration officials told Senators in a classified briefing this week. The Islamic State of Iraq and al-Sham (ISIS) also has its eyes on Jordan; in fact, its jihadists are already Tweeting out photos and messages claiming a key southern town in Jordan already belongs to them. 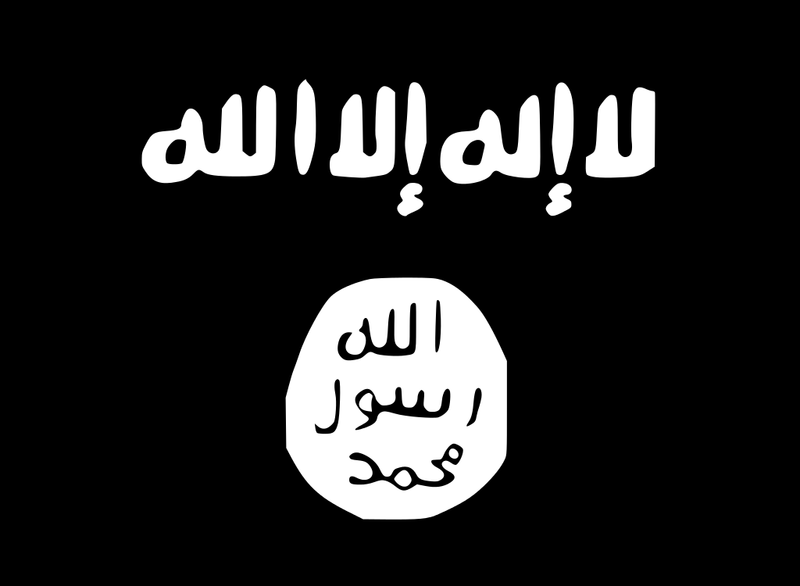 If ISIS were to draw Israel into the regional conflict it would make the region’s strange politics even stranger. In Iraq and Syria, Israel’s arch nemesis, Iran, is fighting ISIS. Israel, on the other hand, has used its air force from time to time to bomb Hezbollah positions in Syria and Lebanon, the Lebanese militia aligned with Iran. If Israel were to fight against ISIS in Jordan, it would become a de facto ally of Iran, a regime dedicated to its destruction. The Great Game - ME Edition explains, in part, why this is happening and why, in this case, how poorly played this edition has been for the world at large. Want to feel anxious about your internet connection? The security firm Norse is more than happy to oblige. 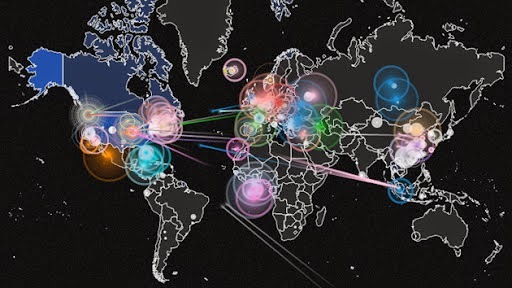 It's running a live hacking map that shows the attacks against a worldwide honeypot (that is, purposefully vulnerable) network as they happen. While this isn't representative of the full internet, it does act like a microcosm to some degree -- the bulk of attacks originate from China or the US, while Americans almost always serve as the punching bag. You'll even see large-scale (and surprisingly pretty-looking) assaults if you tune in at the right time. Now if you'll excuse us, we're going to double-check on our firewalls... this map isn't exactly reassuring. This time map itself is worth checking out but the article connected to it makes it even better. Tracing these alternative evolutionary paths, the researchers discovered that the protein – the cellular receptor for the stress hormone cortisol – could not have evolved its modern-day function unless two extremely unlikely mutations happened to evolve first. These "permissive" mutations had no effect on the protein's function, but without them the protein could not tolerate the later mutations that caused it to evolve its sensitivity to cortisol. In screening thousands of alternative histories, the researchers found no alternative permissive mutations that could have allowed the protein's modern-day form to evolve. The researchers describe their findings June 16, online in Nature. "This very important protein exists only because of a twist of fate," said study senior author Joe Thornton, PhD, professor of ecology & evolution and human genetics at the University of Chicago. 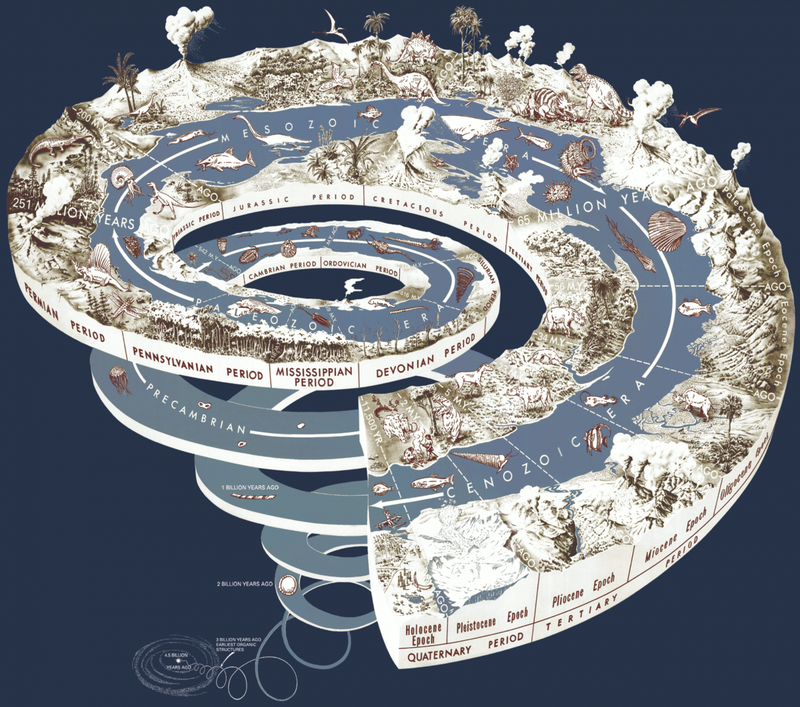 "If our results are general – and we think they probably are – then many of our body's systems work as they do because of very unlikely chance events that happened in our deep evolutionary past," he added. As I read this, the notion of From It to Bit comes to mind as John Wheeler's astonishingly original concept of reality being an information appliance of infinite power, where all bits of reality constantly exchange information 24/7 via the laws of thermodynamics, not only makes sense but also gives a clear explanation as to how the multiverse works as a system. Wheeler: It from bit. 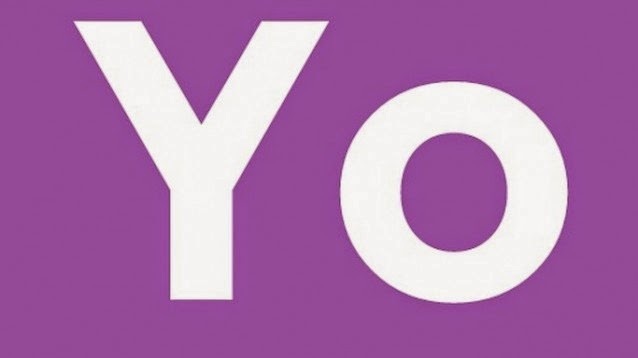 Otherwise put, every "it" — every particle, every field of force, even the space-time continuum itself — derives its function, its meaning, its very existence entirely — even if in some contexts indirectly — from the apparatus-elicited answers to yes-or-no questions, binary choices, bits. "It from bit" symbolizes the idea that every item of the physical world has at bottom — a very deep bottom, in most instances — an immaterial source and explanation; that which we call reality arises in the last analysis from the posing of yes-or-no questions and the registering of equipment-evoked responses; in short, that all things physical are information-theoretic in origin and that this is a participatory universe. We all know about the slow motion disaster known as Fukushima and the hazards of nuclear power as seen in that situation but most people don't know, including yours truly, that a viable alternative to the light water reactors like Fukushima does exist, tech that could help make sustainable power at real world levels achievable while getting rid of nuclear waste in cost effective fashion. Dewan said their reactor would be "walk-away safe," according to IEEE Spectrum. "If you don't have electric power, or if you don't have any operators on site, the reactor will just coast to a stop, and the salt will freeze solid in the course of a few hours," she said. Eric Roston, sustainability editor for Bloomberg.com, discussed more advantages. "Molten salt reactors can tap more energy in fuel and use it for decades, compared with four or five years in reactors today. That means they need less enriched uranium, reducing the risk of fuel being stolen to make bombs. Transatomic's reactor would cost half as much per gigawatt of electricity as conventional reactors, Dewan says." Overall, according to the company, "Transatomic Power's advanced molten salt reactor … solves four of the most pressing problems facing the nuclear industry: ecological stewardship, public safety, non-proliferation, and cost-efficiency." 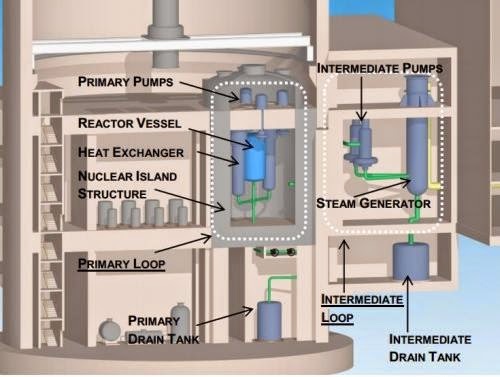 Click here to get the Transatomic Power white paper on the design of their molten salt reactor. Pretty cool tech I must say. This new Hubble image shows IRAS 14568-6304, a young star that is cloaked in a haze of golden gas and dust. It appears to be embedded within an intriguing swoosh of dark sky, which curves through the image and obscures the sky behind. A very good friend of mine, who happens to know more about video than I EVER WILL, :) turned me onto a very significant technological advancement in video and photography. 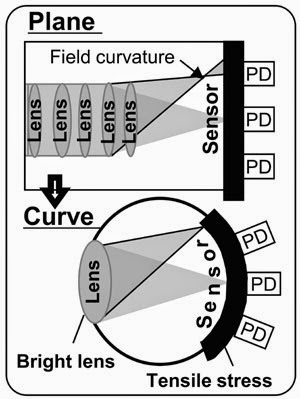 Sony is developing a curved sensor to capture light in similar fashion to how we do it. At this week's Symposium on VLSI Technology in Hawaii, Sony revealed the first picture of tech they have been working on for years. The technical details are slim, but Sony says that their CMOS sensor has the same curvature as a human eye. The curve allows light rays coming through a camera's lens to strike the sensor straight on, as opposed to at an angle, which causes distortion in the image. If you've ever noticed that your pictures are a bit blurry toward the edges, it's because of the angle that light hits the sensor. A curved surface would eliminate that problem. It would also allow for larger lens apertures, which let in more light. BRT has talked about Blowback often as the law of unforeseen consequences, as articulated by the CIA, is more than just apt when talking about Iraq and the rapidly disintegrating Middle East on which actions, carried out by "W" in 2003, set in place an emerging catastrophe of historic proportions, which Obama has enhanced, thanks to continued ineptness when dealing with Iraq, Libya, Syria, Iran, Afghanistan, Russia and China. The senior Shiite cleric in Iraq issued an urgent call to arms on Friday, telling all able-bodied Iraqis to help the government fight Sunni militants who have seized broad stretches of Iraqi territory, in a sign of the growing desperation of the country’s Shiites and its shaky central government. Ayatollah Sistani has enormous stature among Shiites, but it also respected by Sunnis and other groups because in the darkest days of the sectarian fighting in 2006 he refrained from inflammatory language and repeatedly reached out to Sunnis, Kurds, the country’s Christians and other minorities. But the ayatollah’s plea, while directed at all Iraqis, would most likely be heeded by Shiites, sharply increasing the likelihood of Iraq sliding into open sectarian warfare. 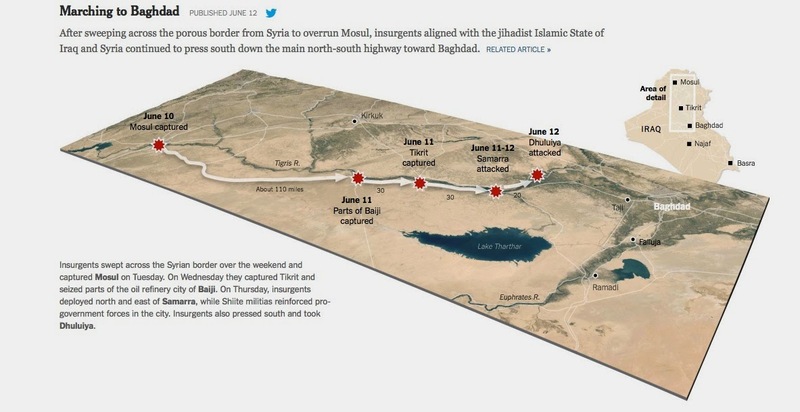 Seen below is a terrific NYTimes graphic depicting the success insurgents have had in Iraq. Click it to view what is happening in the country the US destroyed, thanks, in large part, to Shock & Awe. Click here to get the terrific NYTimes Alliance Map. Chaos incarnate without question. To learn more about Iraq and the foibles of US foreign policy from sources outside of the mainline corporate controlled press, check out informationclearinghouse, The National Interest, Global Research and Aljazeera/America as they write about world events from different political perspectives. There are many more links on BRT regarding news so getting viable information as to why the US has screwed the pooch in terms of foreign policy is not rocket science by any stretch of the imagination. Addendum: To add fuel to the fire, this Zero Hedge piece regarding Russia and the dollar should warm the cockles of your heart. As we have been reporting (and forecasting for the past several years), the Eurasian anti-US Dollar axis is rapidly taking shape, with recent events catalyzed and certainly accelerated by US foreign policy in Ukraine, which has merely succeeded in pushing Russia that much closer, and faster, to China. The latest proof of this came overnight when the FT reported that Russian companies are preparing to switch contracts to renminbi and other Asian currencies amid fears that western sanctions may freeze them out of the US dollar market, according to two top bankers. According to Pavel Teplukhin, head of Deutsche Bank in Russia, cited by the Financial Times, "Over the last few weeks there has been a significant interest in the market from large Russian corporations to start using various products in renminbi and other Asian currencies and to set up accounts in Asian locations." Addendum II: Click The Grand Game - ME Edition to see a possible raison d'etre as to why this catastrophe came to be. Chilling to say the least. BRT has talked often about the plundering of the seas but, as seen in ICIJ, it appears we will never learn until it's too late. 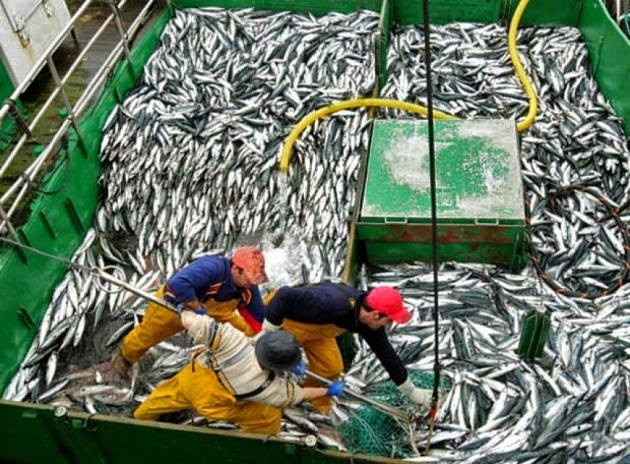 TALCAHUANO, Chile — Eric Pineda peered deep into the Achernar’s hold at a measly 10 tons of jack mackerel after four days in waters once so rich they filled the 57-foot boat in a few hours. The dock agent, like everyone in this old port south of Santiago, grew up with the bony, bronze-hued fish they call jurel, which roams in schools in the southern Pacific. But what else is there to find? 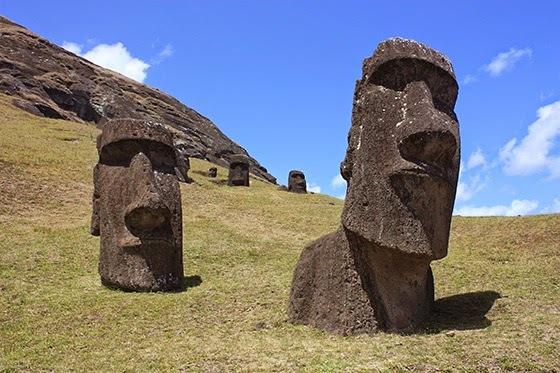 Just ask Easter Island about the notion of plundering and what it means when the tipping point is passed. four colors are sufficient to color different countries on a 2D map so that no two adjacent countries have the same color (excluding intersecting corners). Now it appears researchers use the same centuries old approach to manipulating color to better understand the nature of crystals. Now, a team of mathematicians, physicists, and chemists from the US, South Korea, and Japan has discovered that the four-color theorem can be used to understand the crystal structure and magnetic properties of a complex material. Their paper is published in a recent issue of the Journal of the American Chemical Society. 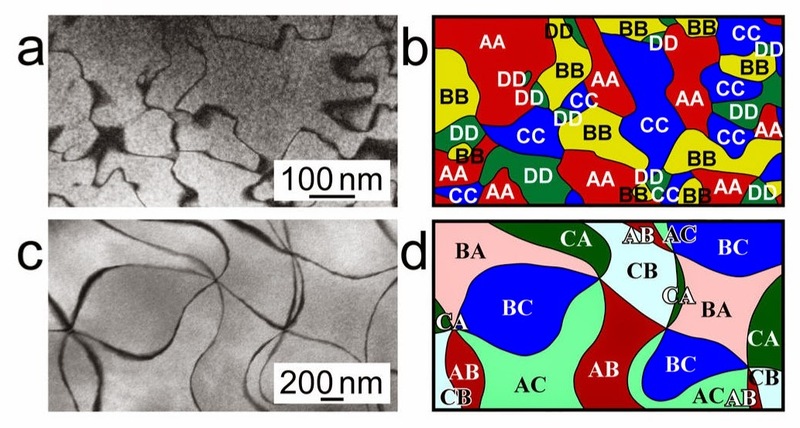 "Most technological materials such as steels or magnets exhibit complex domain structures, which often determine macroscopic physical properties," Sang-Wook Cheong, Professor at both Rutgers University in Piscataway, New Jersey, and at the Pohang University of Science and Technology in Pohang, South Korea, told Phys.org. "Our paper, for the first time, demonstrated that the configuration of domain structures can be understood in terms of mathematics, specifically color theorems. Devised by the mathematician Alan Turing in 1950 in his paper "Computing Machinery and Intelligence,” the Turing Test is considered the gold standard for gauging how far we’ve come in the field of artificial intelligence. The test is named after Turing, but the roots of the it go back to René Descartes in the 17th century. It strikes not only at questions of artificial intelligence, but also at the limits of automata in general, the question of how we know if other people possess consciousness, and even the philosophical basis of materialism. The idea is that an interrogator communicates with two contestants, one human and the other a machine, solely by text. The interrogator asks questions of each for five minutes and then decides which one is human. If the machine wins more the 30 percent of the rounds, it’s regarded as having passed the test. So far, no computer program has ever achieved this, but on Saturday, the chatbot Eugene Goostman scored 33 percent. Addendum: Turing's amazing article, Computing Machinery and Intelligence, will blow you away with just how prescient it truly was in defining how computing and AI could evolve using the test as a means to make it happen. Seeing young people create something really useful is a joy. Check out what Remya Rose did while still in school. Data is never pristine. Why? Because man produces it, something your's truly often forgets when writing about tech and science but Nate Silver never forgets as seen in his terrific article titled Be Skeptical of Both Piketty and His Skeptics. Data never has a virgin birth. It can be tempting to assume that the information contained in a spreadsheet or a database is pure or clean or beyond reproach. But this is almost never the case. All data is collected and compiled by someone — either an individual researcher or a government agency or a scientific laboratory or a news organization or someone or something else. 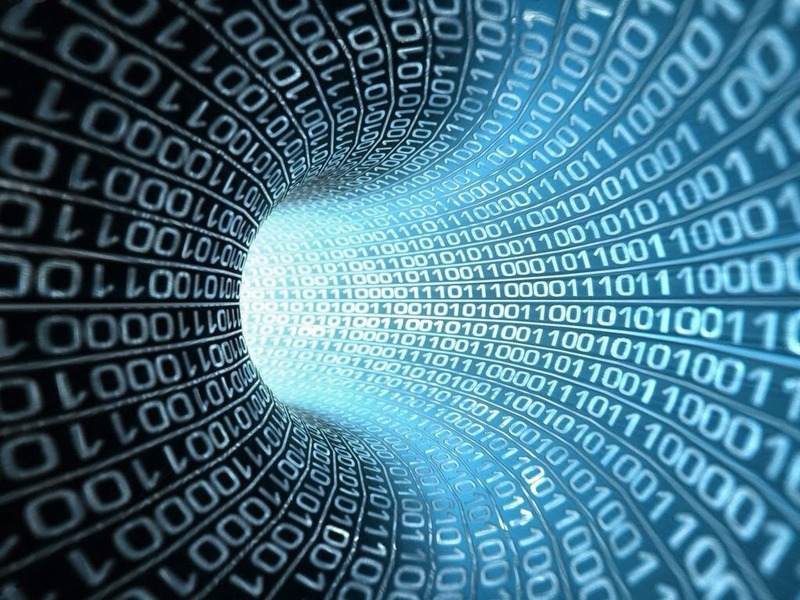 Sometimes, the data collection process is automated or programmatic. But that automation process is initiated by human beings who write code or programs or algorithms; those programs can have bugs, which will be faithfully replicated by the computers. This is another way of saying that almost all data is subject to human error. It’s important both to reduce the error rate and to develop methods that are more robust to the presence of error. And it’s important to keep expectations in check when a controversy like the one surrounding the French economist Thomas Piketty arises. BRT has talked about quantum computers on several occasions as said devices are not only incomprehensively fast due to the superpostion of qubits but, more importantly, have the potential of creating reality in finite space, but before getting to that computing nirvana requires flawless quantum teleportation of information via entangled quibits, something not considered doable until now. To date, scientists have struggled to use entanglement as a means of communication—it's been achieved but the error rate has been so great that it would be unfeasible as a real-world application. In this new effort, the researchers claim to have solved the error rate problem—they've brought it down to zero percent. They did it, they report, by trapping electrons in diamonds at very low temperatures and shooting them with lasers, resulting in the creation of qubits. 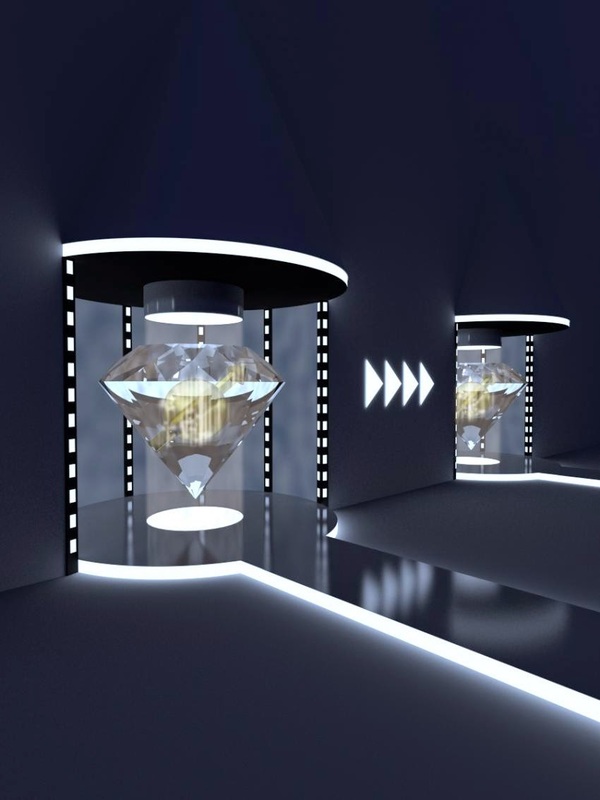 The diamonds, the team reports, serve as really tiny prisons, holding the electrons in place. Held as they were, the researchers were able to cause a spin state to exist and then to read it at both locations, which meant that information had been conveyed. Seen below is a short video showing how information can be processed via quantum teleportation. The Matrix - phase 1. Realizing robust quantum information transfer between long-lived qubit registers is a key challenge for quantum information science and technology. Here, we demonstrate unconditional teleportation of arbitrary quantum states between diamond spin qubits separated by 3 m. We prepare the teleporter through photon-mediated heralded entanglement between two distant electron spins and subsequently encode the source qubit in a single nuclear spin. By realizing a fully deterministic Bell-state measurement combined with real-time feed-forward quantum teleportation is achieved upon each attempt with an average state fidelity exceeding the classical limit. These results establish diamond spin qubits as a prime candidate for the realization of quantum networks for quantum communication and network-based quantum computing. Knowing just how overpriced medical hardware tends to be in America's profit-driven healthcare system gives one pause but there's hope, especially when talented scientists work with innovative techs to create inexpensive and elegantly designed hardware that makes a difference, as seen by this very cool CerviScope, developed by David Walmer and Duke's biomedical engineering group. The first step was to reorient the lenses. 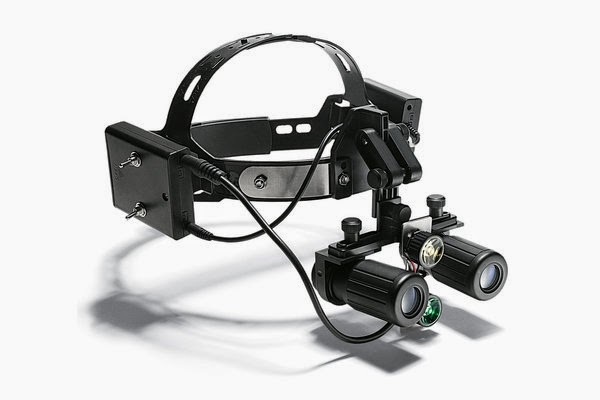 Surgical loupes are custom-designed for each physician. “A rep comes to measure the distance between my eyes because different people’s eyes are different distances apart,” Walmer says. “But if we are going to do this globally, we can’t manufacture each one personally. So we asked them to build a slot so you could move the lenses back and forth, right and left, until they’d line up with whoever’s eyes were looking through the devices,” Walmer says. Image recognition is now a big deal, especially with the NSA. 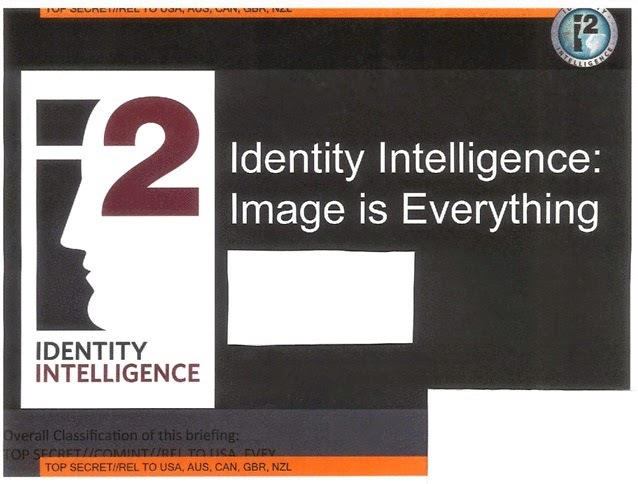 Intense tech, combined with 24/7 connectivity to the web at unimagined levels of ubiquity, enable the agency to achieve the 1984 ultimate, the complete dossier of potentially anyone whose picture appears on any social outlet on the net. “It’s not just the traditional communications we’re after: It’s taking a full-arsenal approach that digitally exploits the clues a target leaves behind in their regular activities on the net to compile biographic and biometric information” that can help “implement precision targeting,” noted a 2010 document. One N.S.A. PowerPoint presentation from 2011, for example, displays several photographs of an unidentified man — sometimes bearded, other times clean-shaven — in different settings, along with more than two dozen data points about him. These include whether he was on the Transportation Security Administration no-fly list, his passport and visa status, known associates or suspected terrorist ties, and comments made about him by informants to American intelligence agencies. It is not clear how many people around the world, and how many Americans, might have been caught up in the effort. Neither federal privacy laws nor the nation’s surveillance laws provide specific protections for facial images. Given the N.S.A.’s foreign intelligence mission, much of the imagery would involve people overseas whose data was scooped up through cable taps, Internet hubs and satellite transmissions. Warms the cockles of your heart, right? Welcome to the Real World..